To obtain an uncontested divorce in Massachusetts, you and your spouse must first meet a residency requirement. This requirement serves to prevent a couple from moving to the state for the sole purpose of obtaining a divorce. In Massachusetts, uncontested divorces may be sought only if they are based on an irretrievable breakdown of the marriage relationship, not on other recognized fault grounds, such as adultery or desertion. For the purpose of meeting the residency requirement, if the events leading to the breakdown of the marriage occurred within Massachusetts, residency is established so long as one spouse is currently living in the state. If the events occurred out of state, either you or your spouse must live in Massachusetts for at least a year before you may file for an uncontested divorce in the state. 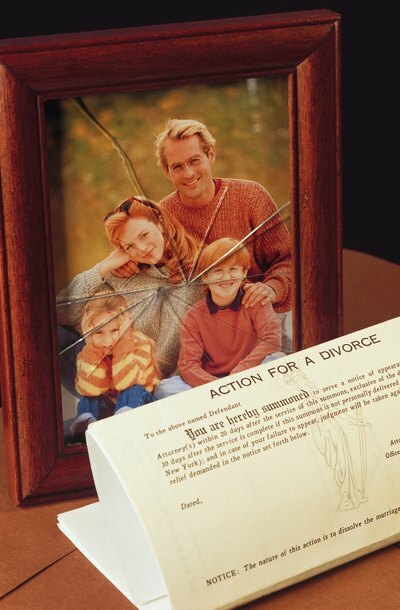 The cornerstone to the uncontested divorce in Massachusetts is the separation agreement. This document specifies how you will handle matters related to dividing marital property, spousal support, and child custody and support. In uncontested divorces, separation agreements are often completed before you file for divorce because they are attached to the petition. To be effective, state law requires that the agreement be signed by both parties and notarized. In Massachusetts, the standard divorce process requires one spouse to fill out and file a petition, provide notice of the divorce to the other spouse and wait for a written response before moving forward. Uncontested divorces, by contrast, involve only the filing of one joint petition signed by you and your spouse. In the petition, you indicate that irretrievable breakdown of the marriage is the ground for divorce. You must also fill out financial statements, a certificate of absolute divorce and an affidavit of irretrievable breakdown of marriage. Parents of minor children are required to submit a custody affidavit and child support worksheet. Once completed, the petition, separation agreement, marriage certificate and all associated documents should be filed with the probate and family court in the county where either you or your spouse lives. If either spouse currently lives in the county where you last lived together, it should be filed in that county. Once all required documents have been filed, the court will review your petition and the separation agreement. A hearing will be scheduled within 30 days. At the hearing, the judge will make sure that you and your spouse agree on everything and that the separation agreement is not unfair to either party. If you have children, the court will make sure that custody and the support amounts promote the best interests of the child. If the court concludes that any portion of the agreement does not meet these requirements, the judge may request both parties modify the objectionable provisions. If you cannot agree, the matter will be dismissed. If the agreement is accepted, it becomes a binding contract and the judge will incorporate the terms into a judgment for divorce. The divorce is considered final 90 days after the judgment is issued. Mass Legal Help: What is a Separation Agreement? Do I Need One? Mass Legal Help: How Do We File a Joint Petition for Divorce?